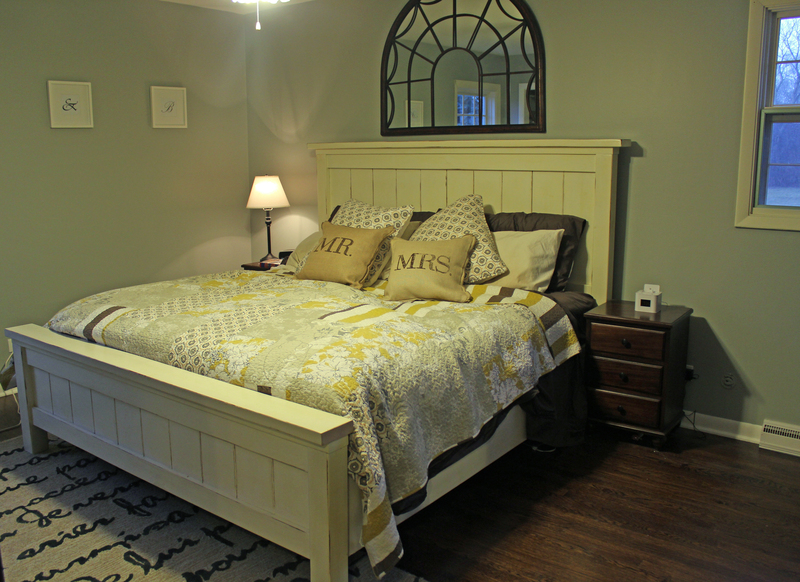 While I was in Las Vegas for work this past week, my darling husband installed the underfloor heat in the bathroom and finished painting the 2nd spare bedroom. 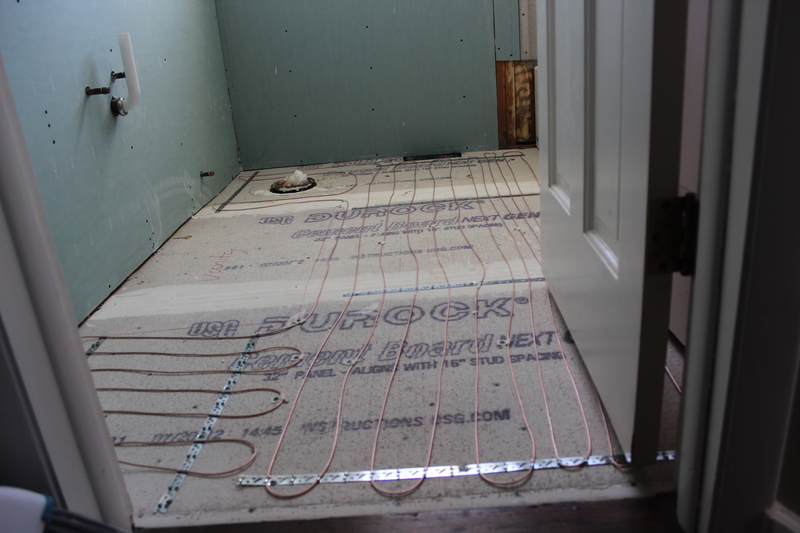 He said the underfloor heating was really easy to install. First, he laid down the cables in a “S” pattern. You can see in the photo there are little steel straps that you weave the cables through. 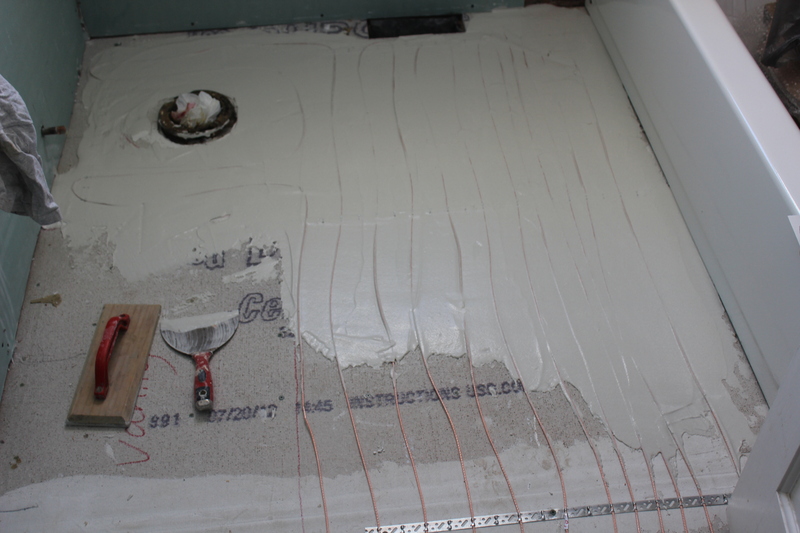 Next, he applied a coat of thinset over everything to keep it in place and prep for tile. I’m traveling for work again this coming week so maybe I’ll come home this time and see some tile down (hint, hint Ben ;)). 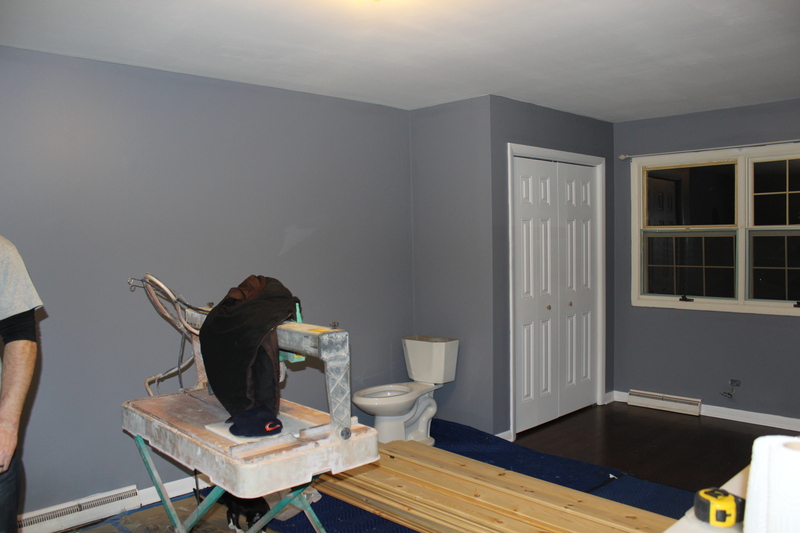 And here is the 2nd spare bedroom with its final coat of paint. I ended up tweaking it a bit from the first coat, toning it down a little by adding about 15% of some grayish paint we had to the original color. As you can see, we are using it as a staging area/workshop for the bathroom right now, but I can’t wait to get it all set up! 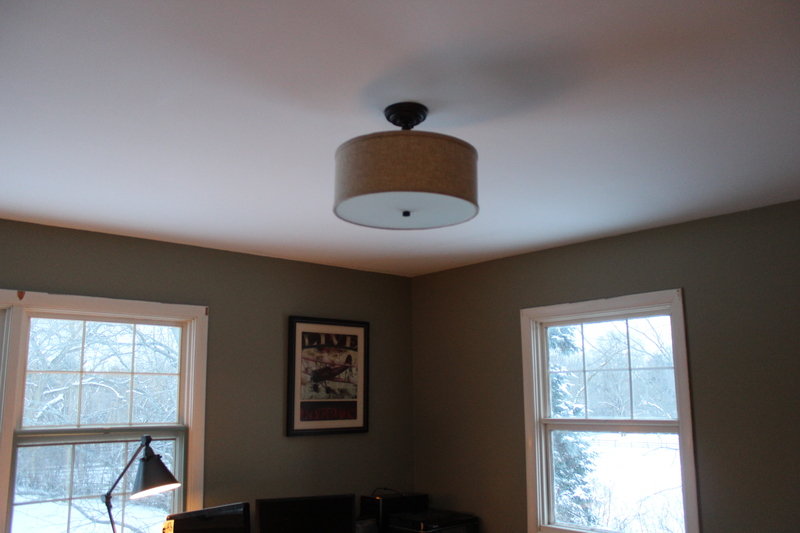 We also had a bunch of items show up in the mail this week, including a new light fixture for the office. It’s a 3-bulb semi-flush light from Wayfair for $99. Simple and clean. 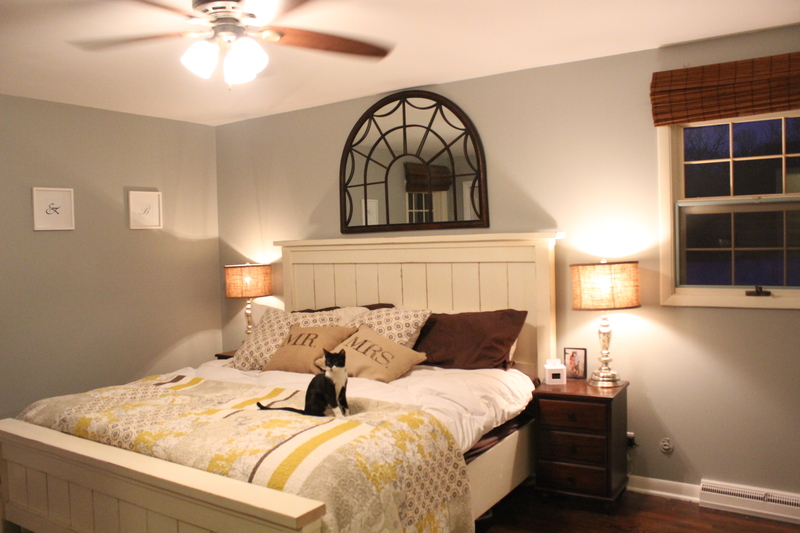 But my favorite is our new bedroom lamps! They are from Pottery Barn and are more than I would have liked to pay except we had a leftover gift card from our wedding, so they weren’t too bad. They are nice and big and make a major impact in the room. 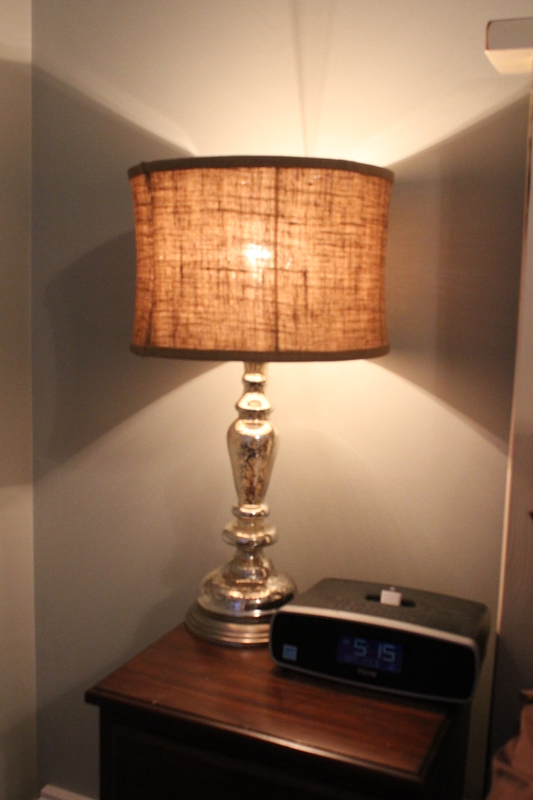 The base is mercury glass and the shade is burlap. I wouldn’t have thought those two things would go well together, but they totally do. Here’s the room before so you can see what I mean about the big impact. The final tweak this week (I’m a poet) is a faux sheepskin rug that was intended to go in front of the fire but it didn’t look right with our other area rug so ended up in our bedroom. 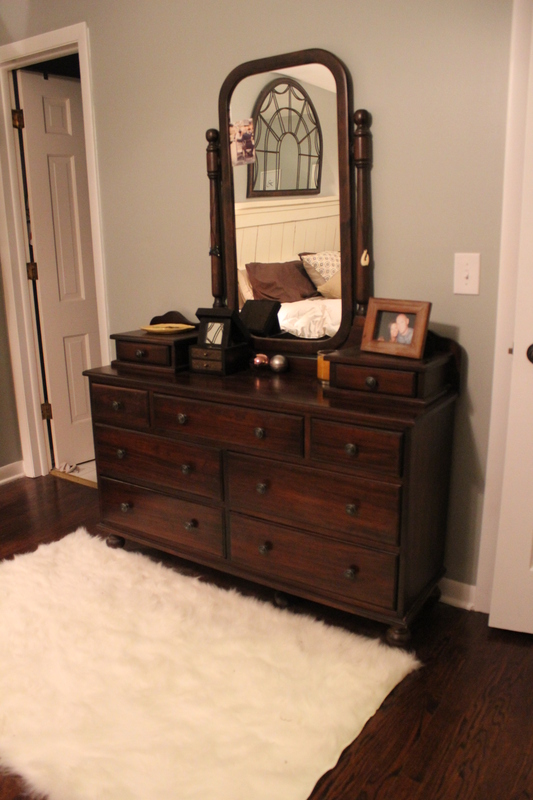 I think it works great in here and helps balance out the dark wood furniture and floors. Plus it’s soooo comfy. Doc loves it. That’s it for now. Tomorrow we are having some friends over to watch the Super Bowl and I am attempting to make chili for the first time. 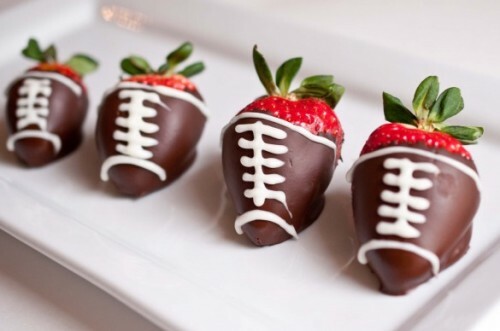 And make these cute little strawberry footballs. Wish me luck…I’ll need it. Hello!!! Love your bathroom! Can you tell me which brand of the heated floors you went with?!?! Thank you so much! Thank you! I’m not sure the brand but it is from Menards. We have been thinking about installing in floor heat as we have central heat coming from the ceiling and it’s quite dusty. Also, the tile gets very cold in the winter. If you install inflow heating in a room, do you also have to have an alternate source of heat in that room also to keep the room warm?